Hockey Opportunity Camp (HOC) is committed to creating a learning environment that is safe, caring, peaceful, nurturing, and respectful; ensuring all campers achieve a positive camp experience. This environment can only be achieved if all members of the community including staff, campers and parents accept and promote the following positive behaviours and interactions with each other. To achieve this, we have created the following 4 simple expectations below for all campers to review together with their parent/guardian and accept prior to participating in camp programming. In addition, camp is a place where campers are given the opportunity to be independent, make life decisions on their own and therefore experience personal growth. Together with the support of HOC staff (when required), these guidelines have been put in place to help educate and nurture this personal growth. All campers must be accountable for their own personal belongings brought to camp. Clearly labeling all items brought to camp will help locate any lost items so they can be returned throughout the week. In addition, campers should be aware of their surroundings and collect their own belongings before leaving an area, ensuring nothing gets left behind. Each camper is responsible for his or her own personal hygiene. Campers are given ample time and opportunity for personal hygiene care each day (showers, teeth brushing, changing clothes, etc.) and while everyone is encouraged to complete these tasks on their own, assistance will be given to younger campers who require it. Since our camp days are full of activity, campers must make healthy eating choices in order to maintain stamina throughout the day. Our catering company prepares a variety of healthy kid-friendly meals each day, so campers are encouraged to fill up at each mealtime. Campers must be aware that no meal alternatives will be prepared for picky eaters. The kitchen will prepare meals for campers with food intolerances/allergies. Parents/campers are required to identify these meal requirements on the camper's health form and campers are required to follow up and ensure they are given their correct alternative meal (if required). Campers are required to follow HOC's sun safe practices, which include; applying sunscreen throughout the day, wearing a hat (and sunglasses if possible), wearing suitable outdoor clothing and keeping themselves hydrated. Staff will provide an opportunity before each activity for campers to prepare and ready themselves and assistance will be available to younger campers who require it. Campers are equally in control of their camp experience. In order to ensure the highest level of care, each camper needs to advocate for him or herself and tell others if someone or something is physically wrong or emotionally distressing to them. Staff will regularly provide an opportunity for campers to approach them with concerns either publicly or confidentially. All staff is trained to actively listen and treat each concern with confidentiality and respect, working with the camper(s) to solve the issue cooperatively and in a timely fashion. Bullying by any means including verbal, physical or emotional is not tolerated at HOC. This also includes horseplay and any physical touching impeding on another camper’s personal space and upsetting or offending another camper. Treat others, as you would expect to be treated. Each camper deserves to be treated with respect and made to feel a part of the HOC community. Recognize others' feelings and work together to create a fun and positive camp environment. Campers need to understand that their positive attitude towards each other will help influence others to do the same. Many campers come to camp with a group of friends they already know. Although this is encouraged, we also encourage those campers to make new friends while at camp and build new friendships that may continue well beyond the camp experience. Recognize that you are one of many campers living in the cabin. Although it is recommended that campers not bring any expensive clothing or electronics, campers should not touch or borrow other camper’s belongings. In addition, due to serious food/environmental allergies, campers should not bring in any food with any traces of nuts or seeds or any hygiene products with significant smells or perfumes. Recognize when others are being disrespected and step forward to let HOC staff know about it. In some cases you may be the voice for someone who may not be confident enough to do so. Telling someone does not make you a snitch but rather, makes you a friend. Parent Note: Parents of campers who choose to disrespect, distress, abuse others, or who's behaviour affects the ability of other campers to enjoy their camp experience, will be contacted and a conditional warning will be given to the camper. Continued negative behaviour may result in that camper being asked to leave the program without refund of tuition paid. Keeping a clean and organized living space is important at camp. Cabins are well used each day and campers need to work together to sweep, tidy, pick-up garbage and maintain an organized cabin. This also includes assisting the instructors in program areas by putting away equipment and returning items to their proper locations after use. Intentional damage to HOC, private property or other camper's belongings is not tolerated. Campers who intentionally damage others' property will be responsible for replacement or repair costs. Many of HOC programs have detailed safety rules and regulations in order to ensure the safety and well being of all campers and staff. Campers must listen to, understand and follow staff instructions and program safety rules in order to ensure a safe and fun experience. Parent Note: Campers who continually ignore staff instruction of program safety rules and expectations, may be asked to not take part in the activity until they are able to demonstrate an ability to follow program expectations. In order to maintain the high level of safety and well being of all our campers at camp, we are strict to enforce a CAMPER NO CELL PHONE POLICY. Campers are expected to leave their cell phones with parents/guardians prior to checking in at camp. If a cell phone is found on a camper, it will be taken away and safely stored and returned at the end of the week. This policy is not put in place to avoid parent interaction in the event that a camper has an issue/concern, but rather to ensure that camper expresses their concern to their counsellor so staff can address the concern/issue immediately. If an issue/concern is deemed to require a parent’s input or guidance, we will contact them immediately for support. 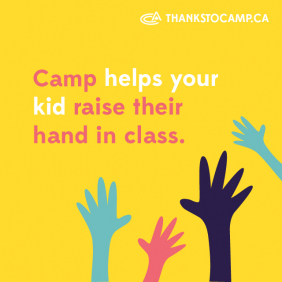 Parents will also have the ability to stay in contact with their camper through Parent Communications Representative, who acts as a liaison between the camper and parent/guardian. Hockey Opportunity Camp is committed to delivering an exceptional camp experience and we will work with each camper to the best of our ability to fulfill this goal. Although, fulfillment also requires campers to bring forth their best to achieve the outlined 4 expectations.